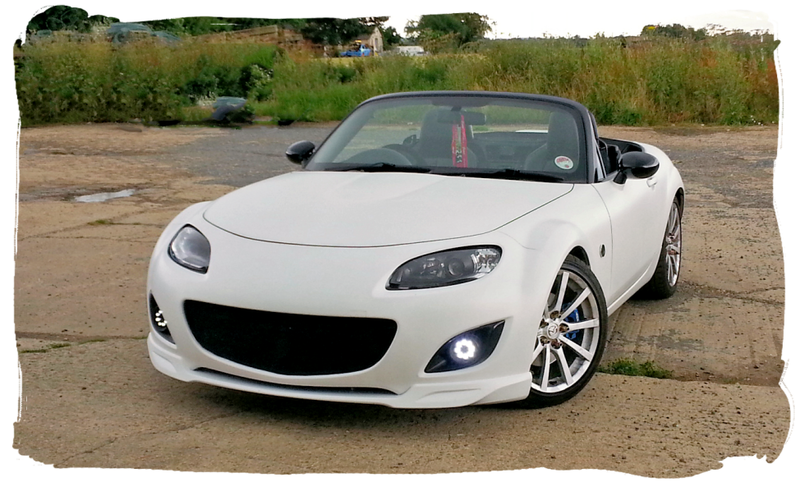 Lisa's MX-5 is a 2006 2.0 Sport model, you may remember this car from an earlier feature which you can read here. The last few months have seen the car undergo a significant exterior transformation so I wanted to feature it on the site again as another example of what can be done with these cars. Starting with the obvious, the car is no longer Brilliant Black, it's now finished in a matt white Plasti Dip coating. Plasti Dip is not a paint in the usual sense, nor is it a vinyl wrap; think of it as something in between since it can be sprayed on like a paint and peeled off like a wrap once dry. Going from one colour extreme to the other requires a certain amount of preparatory work. In this case to get the best finish when changing from black to white, a grey undercoat was used. 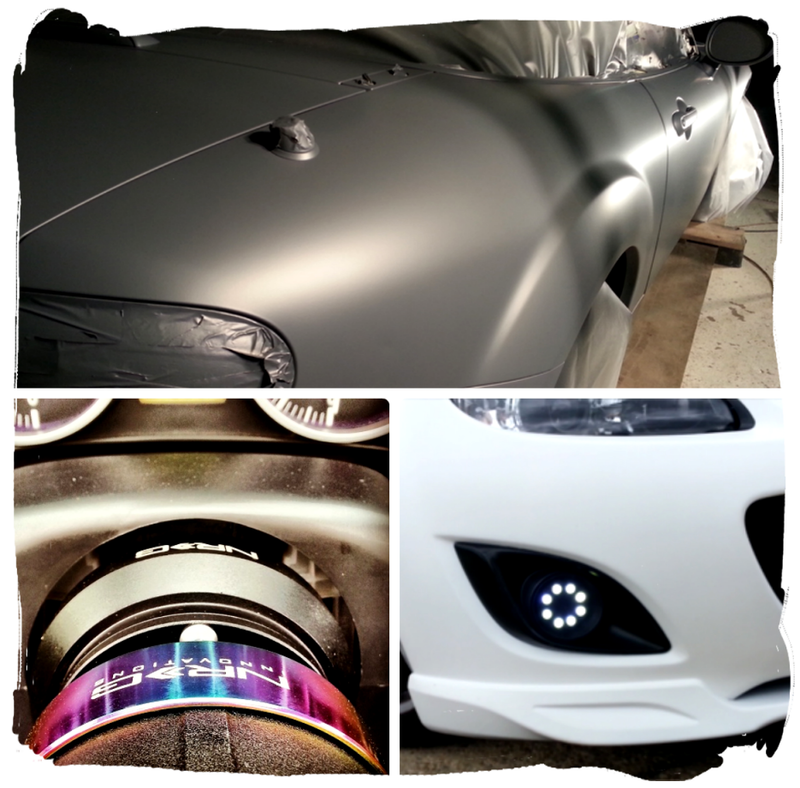 If you were thinking about changing the colour of your car but aren't sure what to go for, the Plasti Dip coating has become a popular option for car enthusiasts. This is mainly due to its ease of use and the fact your handiwork is totally reversible with no damage to the original paint. Another thing you'll notice about the car is the front end has been changed to the later NC2 bumper. 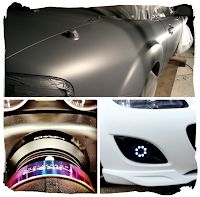 Lisa has also added the matching front lip spoiler available from Mazda. To do this facelift to the NC usually requires acquiring the later style headlights which can be quite expensive. Fortunately, one of the many aftermarket tuning companies in Japan came up with a simple solution to this problem. 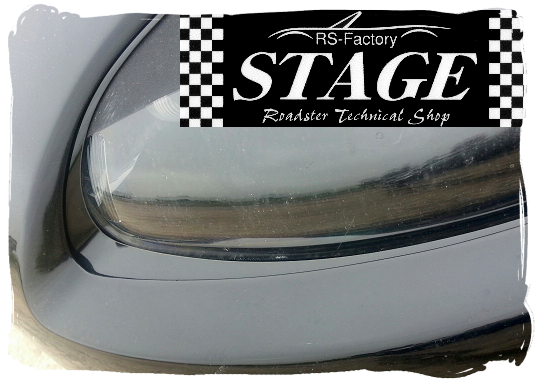 RS Factory Stage have created some trim pieces that neatly cover the panel gaps allowing the NC2 (and NC3) bumpers to be fitted around original NC1 headlights. 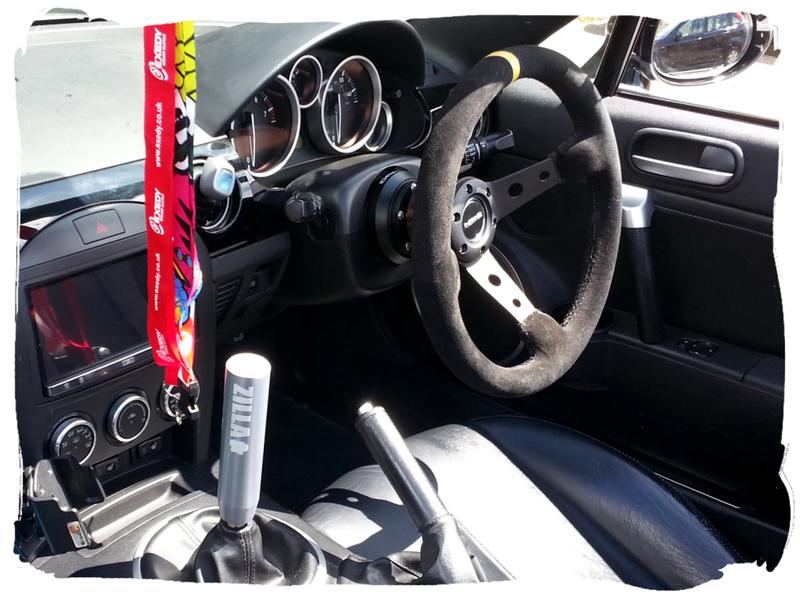 There're a couple of new interior additions such as the suede covered steering wheel with boss adaptor from NRG Innovations and an extended gearknob from Zillalife. You'll also notice the car has some LED daytime running lights in place of the front fogs. These were a custom creation and give the car an even more unique look.